This quote I see over and over again, but stated in many different ways. I’m sorry to break it to you, but life is not all about being happy. Sometimes we need to go through times of sacrifice, confusion and experience tragedy in which we don’t feel even an inkling of happiness. It is not only impossible to be happy all the time, but it would prevent us from learning new things and evolving as better individuals. 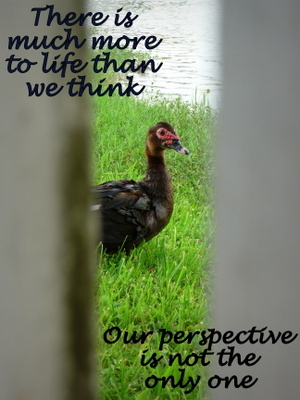 Life is not all about us! Life is about giving up the last seat on the bus to the elderly man, breaking up with someone who wasn’t right for you, and always doing what is necessary even if it doesn’t make us feel good. Sometimes we don’t like what is going on in our lives and that is okay! We have more than one emotion and we shouldn’t feel the need to constantly be happy. What we should aim to do instead is to treat each other, as well as ourselves, with love and kindness. To do what is right no matter how unhappy we may feel in that moment and to always remind ourselves that it is not all about us. I think sometimes people are so focused on finding happiness that they create their own misery. When we try so hard to please ourselves, we create a disconnection from other people and miss out on the real purpose of life. So how about we stop searching for the formula to happiness and just live life. Let us not become selfish or make poor decisions just for the sake of being happy. And always remember that we are just a small piece of the puzzle in this giant world. Happiness is not the main goal, just a step along the way. What do you think? Share your comments down below and don’t forget to stay updated for the next “quote you should stop quoting” by following me on Facebook and/or Twitter. Thanks for reading! Posted on February 2, 2013, in Daily Inspiration, Random Thoughts and tagged caring, community, happiness, happy, inspiration, inspire, life, love, quotes, thoughts. Bookmark the permalink. 2 Comments. Thanks for your insight! That specific quote would only apply if your religion/spiritual beliefs agree with it, and I feel sometimes people just choose to believe random ideas without any reasoning or thought behind it. I’m glad you can relate to my post and thanks again for the input.